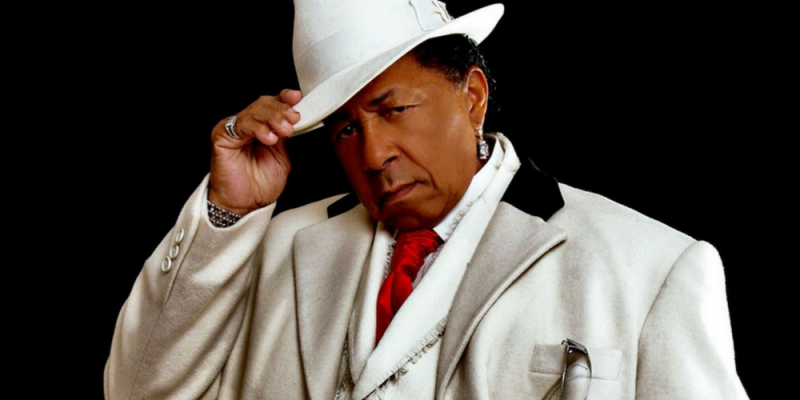 Top 10 – Bunny Sigler – Philadelphia Legend. It is with great sadness but some fantastic dancefloor memories that we have put together our first Top 10 after hearing of the passing of Philadelphia Legend Bunny Sigler on 6th October 2017. We have featured 10 of our favourite Bunny Sigler tracks throughout this article, from soul to Philly to disco we hope you enjoy them. Bunny was an incredibly talented singer, multi instrumentalist and producer responsible for a string of hits from the 60’s onwards, recording 13 studio albums over his career. Across the decades he has been an instrumental figure in multiple different music scenes. Bunny recorded key soul tracks which became hits both in the US and in the UK’s Northern Soul scene. His writing work with legendary producers Kenny Gamble & Leon Huff at their label Philadelphia International helped establish the Philly Sound. He was also a key figure in Disco recording and producing multiple worldwide smashes solo and with his band Instant Funk. More recently via the advent of sampling he had seen incredible success with the Hip Hop and house communities. Born in North Philly in 1941 Walter Sigler earned his lifelong ‘Bunny’ nickname straight away via his mother when he was born the day before Easter. By his own admission he began singing as soon as he could talk honing his talent in church before beginning to performing in the 1950’s in local clubs as a singer, pianist and with his Doo Wop group the Opals. Bunny recorded his first single ‘Hold On’ for the V Tone Record label in 1959 before releasing several singles on a string of labels including a couple of tracks for Decca. Moving onto Parkway Records in 1966 he had his first real chart success with a medley of 2 Shirley and Lee Hits ‘Let the Good times roll’, & ‘Feel so good’ which climbed up to No20 on the R&B chart & No22 on the pop chart in 1967. After Parkway folded Sigler began working with Kenny Gamble & Leon Huff at Philidelphia International writing songs for the O’Jays and many other Philidelphia Artistes as well as releasing on Philadelphia and their sister label Neptune. Here he was to gain his first Billboard pop chart hit with Tossin & Turnin in 1972 which sneaked into the pop chart at No97 and hit No38 on the R&B chart. Several more R&B hits were to follow on Philadelphia. In 1975 Bunny discovered the group Instant Funk joining the group as both singer and producer. Instant Funk would release on legendary labels ‘TSOP’ and ‘Salsoul’ with Bunny working with them on a string of tracks including their worldwide smashes ‘I got my mind made up’ and ‘Bodyshine’ he would continue to work with them on many projects right through until his passing. In 1977 Bunny moved to the Gold Mind Label set up by MFSB musician Norman Harris and distributed by ‘Salsoul’. There he had his biggest R&B hit ‘Let Me party with you’ which reached No 8 in the charts. In 1978 his recording with Loleatta Holloway ‘Only You’ hit No 11 on the R&B chart. Whilst stepping back as a singer Bunny continued to produce in the 80’s and 90’s and across his career has worked with some of the biggest names in music including Wilson Picket, Lou Rawls, Billy Paul, Stephanie Mills, Curtis Mayfield, The South Shore Commision, Ecstacy Passion & Pain, Chaka Khan, Jay Z, Harold Melvin & The Blue Notes, Patti La Belle & The Whispers. His musical presence has been felt across the decades being sampled by acts as diverse as The Roots, Outcast, Biggie Smalls, 50 cent, Chase & Status, Notorious BIG, Justin Timberlake and Timbaland. His 1984 co-written song with Patti La Belle ‘Love, need and want you’ was sampled and turned into a huge worldwide hit with Nelly and Kelly Rowland on Dilema which went on to sell 8 million copies.